$1hr:$110, after that $40 each 30 minutes. 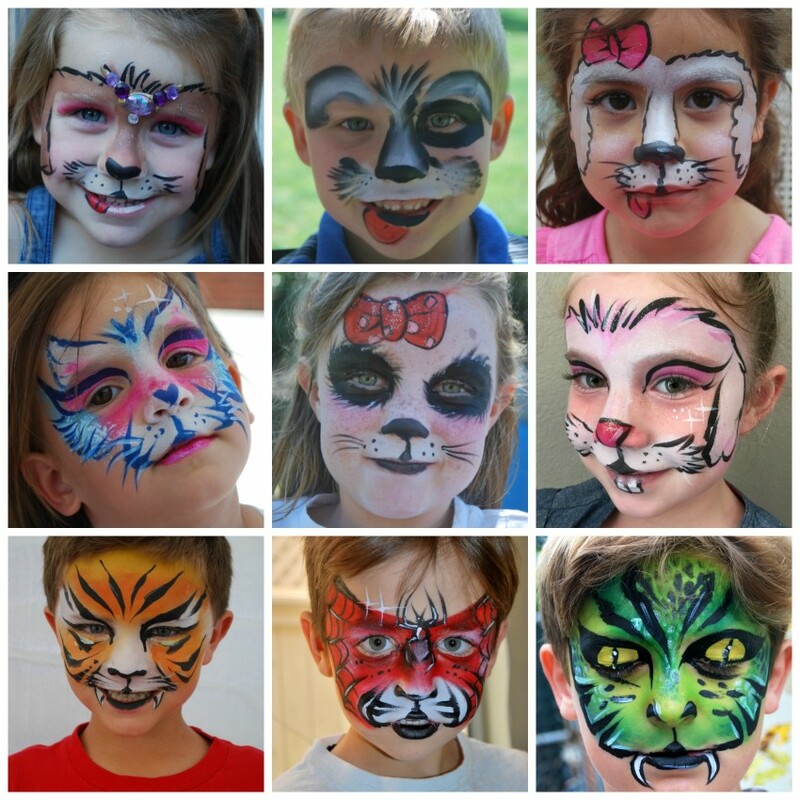 Fun and professional face painting experienced artist, MariCarmen. Perfect for family gatherings, company parties, reunions, weddings and birthdays. MariCarmen with her natural talent, keep eye for detail and an active imagination, she will help you turn your party into an event that everyone will remember! The most important thing of all is that MC has the heart of children's performer! She loves the way children's faces light up when they see their painted face in the mirror for the first time, that makes her day! Face Painting is fun for all ages! If you're looking for a spark in your next event, don't think it twice! Face Painting & Body Art by MC is truly special. For my daughter's 8th birthday she wanted a face painter to come and it worked out perfectly. All 22 kids were so happy to pick out what they wanted to look like ans they looked amazing! This was my first time doing this for my niece and nephews birthday party. I wanted something different and fun that the kids will enjoy while celebrating outside in a park. MariCarmen is very professional, very outgoing and knows how to communicate with 7 and 8 year-old kids. Once she starts with them, she is super quick and the kids do not get antsy. She is fantastic with kids, and also with parents if they also want to jump in on the fun. The kids loved that! I 100% recommend her, you will not be sorry. Worth every penny. Price Range: $1hr:$110, after that $40 each 30 minutes. Prenatal belly painting is growing increasingly popular as a unique and beautiful way to celebrate new life, color, creativity, love and the divine feminine at her fullest stage in life. This is a most precious and special time in yours and your baby’s life, don’t let it slip past without capturing it on film to look back on in years to come. We will create a memory on your living canvas that will last long after the paint has gone! Relax for one hour as your belly is transformed, then take a few snap shots to keep forever. We can even come to you in the comfort of your own home. You decide what you want painted, whether it is matching the nursery, or just something you love. We can help you design the perfect image. The ideal time to have your belly painted is between 6-8 months, or when you feel the most comfortable. Included with the belly painting are 2-3 high quality photographs. Or you are welcome to hire professional photographer to take the photos for you. If you have any other requests feel free to ask. Book us for an experience you will never forget! Experience the millenary art of mehndi henna on your own body. Henna is a relaxing beautifying experience complemented by aromatherapy of lavender and eucalyptus essential oils. Henna is always the highlight at any event and is enjoyed by all age groups. Face Painting & Body Art by MC provides a wide selection of henna designs, so there is always something for everyone to choose from. We can always customize any design of your choice to ensure you will always be satisfied with the quality of our professional service. We only use fresh natural mehndi henna for a beautiful color and safe experience. You can feel at ease on all your special occasions because Face Painting & Body Art by MC will make sure you have the best henna experience possible! We take individual appointments in my home studio in Oceanside. For parties or larger events, we will travel to your event location. MariCarmen has been an artist in all aspects of her life, including education, hobbies and even work. With her natural talent, keep eye for detail and an active imagination, whatever project MariCarmen produces, big or small, her creativity and passion transfer through to the final outcome. She is a self-taught artist and loves working with other types of mediums (acrylic, henna, mosaics) to create self-expressive art all based on perfect flow and movement within the design itself. MariCarmen has been striving for new ways to express her artistic venue. 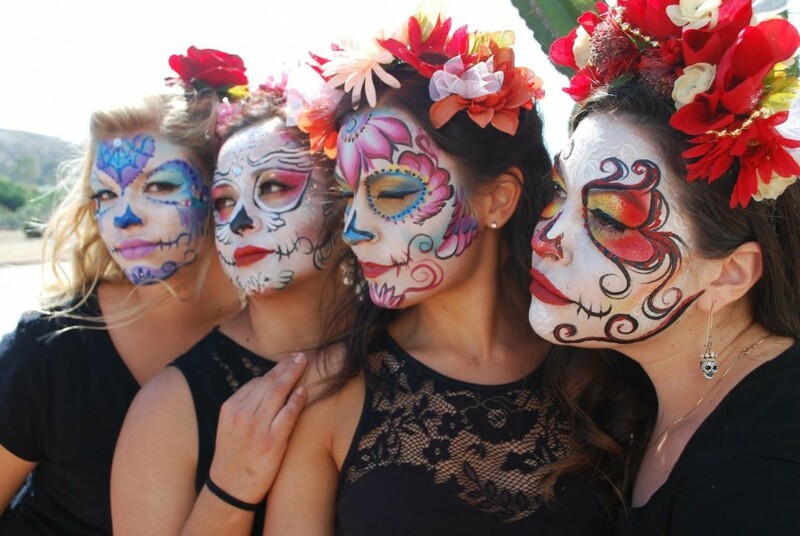 Through the world of face and body art, MC has been fascinated with this amazing experience. Her artistic eye, whimsical spirit and passion for people, make face and body art an ideal journey. I will bring the paint station and the tall chair. I will require to provide shade.